The team at Desert Bus for Hope is our Tectorian of the Week. Once again this November, Victoria’s Desert Bus team smashed a record, and they did it all with a bit of song and dance, a lot of social media savvy, and a preternatural ability to withstand punishing amounts of tedium. As you may recall, the Victoria Desert Bus team took over Fort Tectoria for a week as part of an annual week-long event that raises donations for charity by playing Desert Bus, the most boring and pointless video game ever created 24/7 with no breaks. Raising money for Child’s Play, a charity that donates toys, games and money to Children’s hospitals all over the world. In November, the team holed in Fort Tectoria for 160 hours-straight of playing Desert Bus. The whole thing was live-cast, and viewers could pledge donations in exchange for silly songs, funky dances, homemade crafts, and giveaways. We surpassed the Desert Bus 7 total (it was about $523k) and thereby became the earningest Desert Bus for Hope of all time! Desert Bus 8 at Fort Tectoria raised a staggering $635,415.04 for Child’s Play, $100,000 more than Desert Bus 7 in 2013. They broke a bunch of records in 2014. Read about them here. What makes this group true Tectorians is that it wasn’t just one person or one company that was responsible for Desert Bus for Hope’s success in 2014. Instead, a whole community of Tectorians, many of whom have day jobs at Victoria technology companies, to pull off this magnificent feat. Mark Lise is our Tectorian of the Week. 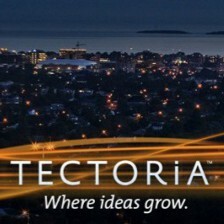 A UVic Computer Science grad and now the Director of Technology at ACD Systems, Mark has worked with a ton of different teams that have collectively created Tectoria from the ground up, including Flock. Flock was, in its time a revolutionary browser, and the tech team behind the product caught the eye of some of the world’s leading technology entrepreneurs, who have been lured to Victoria to set up shop and benefit from the mad skills of Mark Lise and his fellow Tectorians. ACD Systems itself has played a critical role in building Victoria’s tech economy. The photo imaging software company was one of the first Victoria tech firms to sell to a massive consumer audience. An entire generation of today’s leading Victoria tech entrepreneurs got their start at ACD, learning the ropes of building a successful technology company. Current coworkers say that besides bringing a lot of technical know-how to ACD, Mark is a pleasant person to work with. Megan Olesky is our Tectorian of the Week. The UVic Computer Science graduate has developed a reputation around Victoria’s blossoming software startup scene as a contract developer with serious technical chops. Olesky is also known for never shying away from challenging projects. Mike Williams, VP of Marketing at RingPartner agrees. While Olesky is sought after by local startups to bring technical know-how to a business concept, she is also a veteran of the startup trenches herself. Olesky has launched at least a couple of technology startups of her own. Olesky was technical co-founder at Songspin.FM, a free, legal streaming radio curated from the best music sites on the web. “Megan just gets in there and tackles challenging technical projects,” says Athene. Olesky’s expertise with software startups should be in demand for quite some time. With startup success like this, we need more people like Megan Olesky in Tectoria! 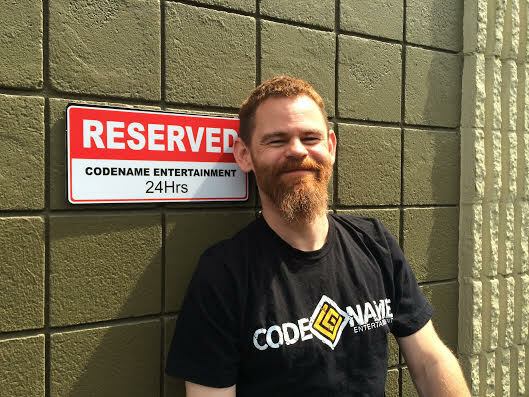 Our Tectorian of the Week for November 7 is Victoria game developer Codename Entertainment. At the beginning of November the Victoria video game maker raised a total of $6,762 for BC Children’s Hospital in just 24 hours. The Codename team participated in a campaign organized by Extra Life, an organization that helps gamers raise money for hospitals. Each year Extra Life organizes 24-hour video game marathon and competition that has so far raised $5.6M for Children’s Miracle Network hospitals, which includes BC Children’s Hospital. Over 24 hours ton of video game developers around the world compete to see who can raise the most donations. According to BC Children’s Hospital, Codename was one of their top 5 fundraising teams this past weekend. Victoria’s own Codename was also in the top 100 extra life teams, ranking 81 out of over 6,000 teams. Since 2008, the annual Extra Life event in November has grown to become the largest charitable effort in the video game world with thousands of people playing to help local kids. Teams can participate in living rooms, churches, schools, game stores and hospitals all over the world. Funds raised go to the local hospitals, which use the dontated funds however they’re needed most–typically for life-saving equipment, research and charitable care. It’s also a way for employees to give back to the community while doing what they do best: playing any and all kinds of games while giving back to the community. We started prepping for the event at 9 am on Saturday and kicked off at 10 am. We ran through the our schedule of games/events over the next 25 hours and wrapped up on Sunday at 10 am (extra thanks to the time change adding one more hour to our event). The event brought together many different communities: our families and friends, supporters from the local video game industry and local community, and our community of dedicated players. We streamed everything live on our Twitch channel. We had people participate through donations, encouragement on our various game chats, comments on our twitch stream and dropping by our office. The most surprising support came in the form of 4 six packs of Alexander Keith’s IPA which was delivered by a local beer delivery service, courtesy of one of our amazing players. There was so much going on at the office, that I ended up spending 21 hours here during the event (out of a total of 25 possible hours). Now I must admit that I was not awake for the entire event. I did end up taking a nap for about an hour in the very early hours of the morning. Our Community Manager, Chloe was also covering the grave yard shift, so she continued playing while I napped under one of the tables in our office (it was the darkest place I could find). In my defense, not only did I end up spending a lot more time here than I had originally planned, but I think it is fair to say that the hour I slept was the “bonus” hour that occurred as a result of the time change. Having both of my sons in attendance for much of the event – My youngest even managed to stay up most of the night! Not only was this a bonding experience for us, but it was great way to introduce them to helping charities (especially a children’s hospital). Dancing to “Mickey” on the live stream – Our newest game has a funny bit of dialogue which references the 80s song “Mickey”. Our players wanted to watch us dance and so we said that we would if our team donations went over $6K. The players got together and quickly we exceeded $6K. Significantly exceeding our company fundraising target – We originally targeted $3K. After we beat that target, we raised it to $5K. In the end, we came in at almost $7K. Games, games and more games – Playing so many games was great, even if my abilities dropped dramatically as I got more and more tired. As a side note, I found it very cruel to play a game called The Long Dark and to see my character get to sleep in the game, but I needed to stay awake in real life. At least when I played our new game, Shards of Titan, I didn’t have to watch my character sleep. Evidently, characters in our game never get sleepy. Breakfast in the morning! Alexis and Matt showed up in the morning full of energy with all of the fixings to make us Bacon Pancakes. Very tasty and wonderful. For those of you who do not know why bacon pancakes are important to us, check out our About page. Connecting so many different communities together for a great cause – It was a tremendously rewarding experience that I honestly have some trouble putting into words.